Dutchman Jeroen Dijsselbloem, the powerful head of euro zone finance ministers collectively known as the Eurogroup, is due to step down on Jan 13 after holding the job since 2012. Dijsselbloem's function has been to chair monthly meetings and head the euro zone bailout fund which has saved Greece, Ireland, Portugal, Spain and Cyprus from bankruptcy during the sovereign debt crisis. Today (Dec 4) the zone's 19 finance ministers will vote on his replacement. Whoever takes up the position will face key decisions such as the continuing Greece crisis and the country's debt restructuring. The vote is also important because it will clear the path to understand who might head the European Central Bank after Mario Draghi. 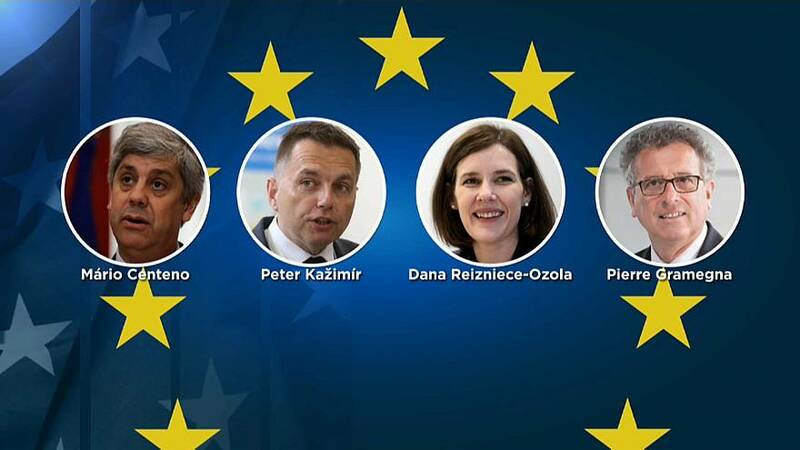 Finance ministers Mario Centeno of Portugal, Peter Kazimir of Slovakia, Dana Reizniece-Ozola of Latvia, and Pierre Gramegna of Luxembourg, have all submitted formal applications for the job.. The favourite is the Harvard-educated economist, Mario Centeno who has led Portugal during a strong recovery from the country's 2011-14 debt crisis and bailout. In May, former German finance minister Wolfgang Schaeuble went as far as dubbing him the "Ronaldo of EU finance ministers". Peter Kazimir has been one of the most critical ministers of Greece's bailout program, incentivising structural reforms and tough economic measures. Pierre Gramegna from Luxembourg which is one of the founding members of the European Union, which could also be a factor when voting takes place. And finally Dana Reizniece-Ozola, a multi-year chess championship winner, has emerged as a surprise contestant to the role. She is a member of the Union of Greens and Farmers, but her party finds itself closer to the European center-right rather than to the left. The winner is set to be announced Monday and will start his or her position in mid-January.